Upgrade your Jeep's look with a Mopar Jeep Mountain decal. This hood decal is 29.5 inches long and 4.75 inches tall as measured at the mountain peak; the letters are 2.5 inches tall. 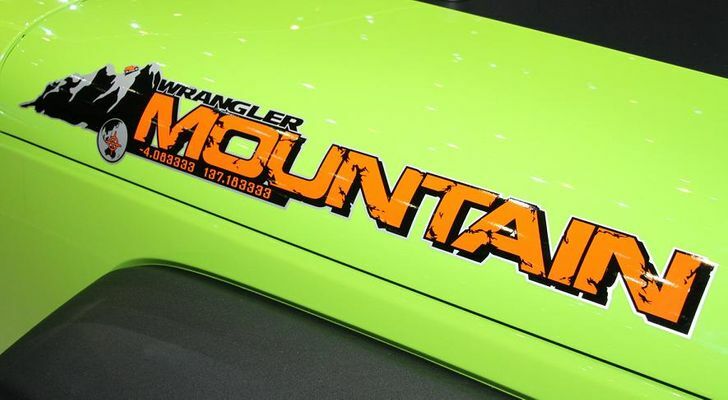 This Jeep Wrangler Mountain hood decal is easy to apply and designed to last, giving your ride a fast upgrade that improves its aesthetic appeal. This sticky Jeep Mountain Edition hood decal is a must-have for every dedicated owner. Mountain decals are sold individually.